Special red polymer striking surface for optimum feel and superior distance control. Better target direction from the use of the alignment pad. Improved setup from the offset hosel. 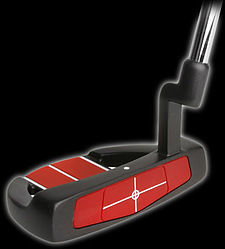 The AT-80 mallet style putter has a precision polymer insert to optimize feel and distance control. The unique bi-level alignment design ensures your head is directly over the ball, and offers exceptional visualization and accuracy. 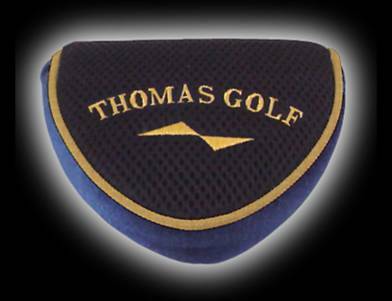 This high quality putter is complete with perimiter weight arch, choice of shaft and grip, and head cover. 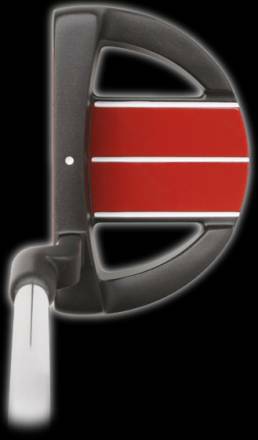 The wide alignment plateau frames the ball and passes across the putter from the face blade to the back. This plateau works in synergy with the specially designed aiming indicator. When the white dot is in line with the white directional line, you know your head is directly over the ball. If your eyes drift to the outside or inside of the ball, the 3-dimensional visualization will immediately let you know. 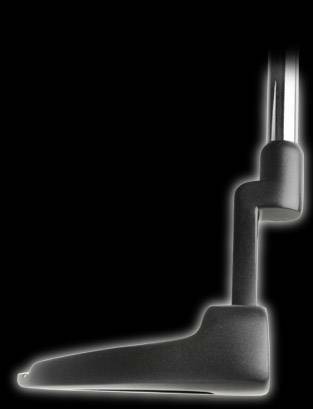 The angled hosel design points the shaft at the ball, while transmitting detailed feel and control from the putter to your hands. 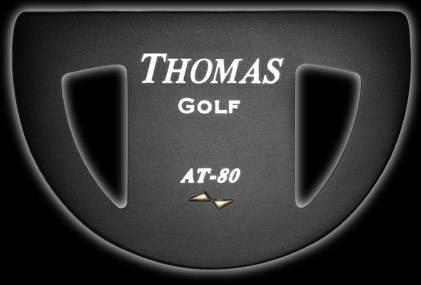 The AT-80 has a special red polymer striking surface for optimum feel and superior distance control. The matching red alignment tack has high visibility and the surgical stainless steel contruction is protected by a durable attractive finish. 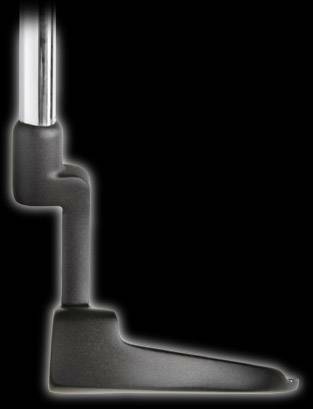 The Weight Arc positions the weight low and to the far back perimeter of the putter head for a high MOI, creating even better forgiveness and truer roll. 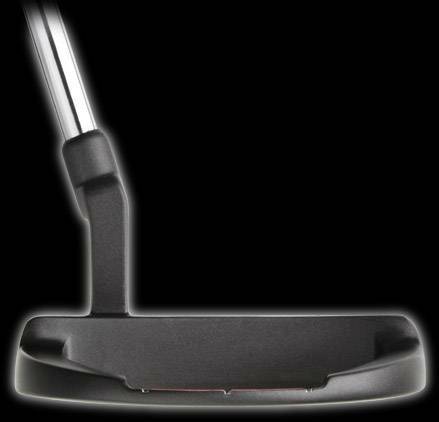 The AT-80 putter is treated with a multi-step black stealth finish to reduce glare and provide long lasting durability.